All images, except the Coverlet above, are Wikipedia’s. In my last post, entitled Heraldry and Vexillology: designing the Great Seal of the United States, I used the Bayeux Tapestry as an example of “heraldic” devices because of its “emblazoned” or “charged” shields. Heraldry is a rather complex discipline. For instance, when asked to design the insignia of the American Society of the Cincinnati and its French branch, La Société des Cincinnati de France, Pierre-Charles L’Enfant, the veteran of the American War of Independence who designed the Washington National Mall, was sent to Europe to gather the information he needed to design the insignia of the Society. Similarly, members of the first committee appointed by Congress to design the Great Seal of the United States called on the services of an expert, Geneva-born Pierre Eugene du Simitière, whose original name was Pierre-Eugène du Cimetière (cemetery). The second and third teams appointed to design the Great Seal of the United States also hired experts, two of whom are William Barton and Charles Thomson. Another contributor was Francis Hopkinson, who designed the American flag in 1777. Parts of a Seal or Crest or Coat of Arms, etc. The bald eagle was “chosen June 20, 1782 as the emblem of the United States of American, because of its long life, great strength and majestic looks, and because it was then believed to exist only on this continent.” So the “supporter” in the Great Seal of the United States is the emblematic bald eagle itself. The eagle stands behind the “arms” (vertical stripes [pales] with azure chief) (See Bald Eagle, US National Emblem [symbol], Wikipedia.) But the obverse side of the Great Seal also shows a motto: E pluribus unum (Out of many, One); talons: an olive branch and arrows; a “glory” of mullets (stars). The motto E pluribus Unum is displayed inside a banner on the obverse (the front side as opposed to the reverse) of The Great Seal of the United States. E pluribus unum seems a de facto motto. It was not adopted through an act of Congress. However, it is a statement attributed to Thomas Jefferson (see Bald Eagle) and a motto suggested by Pierre Eugene du Simitière, a member of the first committee appointed to design the Great Seal. E pluribus unum remains one of the mottoes of the United States, but its official motto is In God We Trust. It was voted into law in 1956. The thirteen stripes of the flag, or ensign, represent the Thirteen Colonies. These are “displayed” on the Great Seal. We see them on the “arms” placed in front of the eagle. 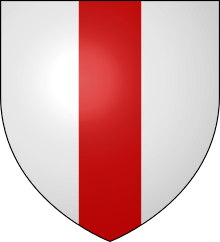 They consist of thirteen paleways in argent (renamed white) or gules (red). The chief or chef is the azure (blue) horizontal line that constitutes the uppermost part of the arms. At the very top of the seal, above the banner, we see a “glory” with 13 mullets (stars) on a blue, called azure, field (background). The thirteen mullets represent the thirteen original states. the eagle holds thirteen arrows in its sinister talon. The meaning of the talons resembles that of the proverbial Si vis pacem, para bellum (If you want peace, prepare for war). at the bottom of the pyramid is the year: 1776. Moreover, we have synonyms. Badges, banners and seals may be called “blazons.” As well, coats of arms may be used to identify a nation, a corporation, an association, a university, a college, scouts, various groups, an individual, etc. Scouts wear a badge as do police officers. And my mother used to make me wear medals representing the Blessed Virgin. However, as I noted in my last post, if a shield is no more than the device used by combatants to protect themselves, it is just a shield. It has not been personalized or emblazoned and, therefore, it has no symbolic meaning. We also have a plethora of terms. The chief is one of the ordinaries of a coat of arms: bend, chevron, fess, and pale. Heraldry also has the divisions of the “field,” the field being the “background,” or naked shield. Ordinaries are displayed under Family Names Online (just click on the link). But there is an ecclesiastical pallium, a vestment, that reminds me of a pale or a bend. 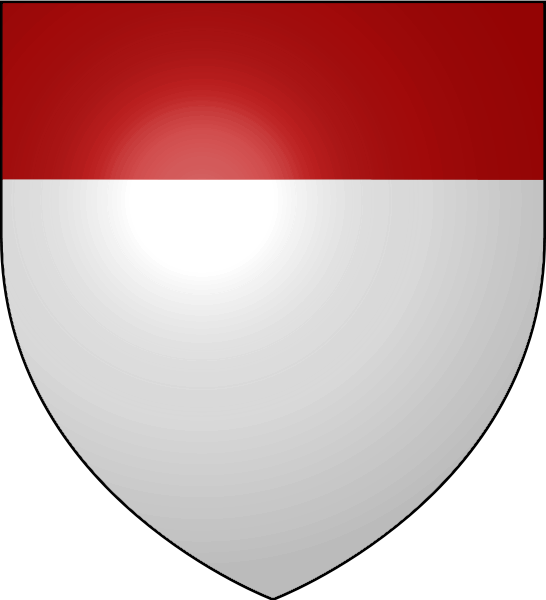 On the Lee family Coat of Arms, we have mantling (frilly grey and black), a crest (the squirrel), a helmet, and a divided shield (the arms). To know the contribution of each member or heraldist, see The Great Seal of the United States (scroll down). Reverse. The pyramid signifies Strength and Duration: The Eye over it & the Motto allude to the many signal interpositions of providence in favour of the American cause. The date underneath is that of the Declaration of Independence and the words under it signify the beginning of the new American Æra, which commences from that date. The Great Seal of the United States was presented to Congress and adopted by Congress on 20 June 1782. The Great Seal is the United States’ signature. It is used about 2,000 to 3,000 times a year and the press is in the custody of the United States Department of State. It is an authenticating device often associated with the conclusion of a process. I should think that every treaty signed by the United States bears its Great Seal. Technically, a seal is “impressed” on a document. There is more to say, but the above and my last post provides sufficient information. If you navigate the Internet, you will find businesses that supply families and individuals with a Coat of Arms or an insignia. There is in fact considerable interest in heraldry. However, this was my second and last post on heraldry. Yet, given its purpose, identification and authentication, a simplified heraldry persists in the form of logos and labels. My kindest regards to all of you and my apologies for being a little slow. I haven’t been very energetic for the last few months, but I am confident my energy will return. Spring has come. [i] I removed this information from my last post. It had to be shortened. A field divided by a diagonal bend showing the lion rampant, its charge. Il faut des recherches, mais j’aime fouiller… Toutefois, il faut intercaler des articles moins exigeants. Je te remercie de ton petit mot. After reading this, I realised I knew very little about our Seal and Coat of Arms. They all have very interesting histories! Had I not written this post, I would never have realized how much there was to learn about heraldry. Experts in this area are rare and very respected individuals. Thank you so much for writing to me. Researching heraldry is demanding because of the details. I hope you are well and taking good care of yourself. Micheline, what a great post! I learned a lot from you here, and for that, I thank you. I also learned a great deal. It turned into a research project. We use heraldry without realizing it. I’m glad you are holding the Canadian flag.